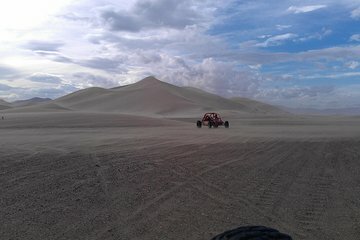 Explore the Nellis Dunes via dune buggy during this exhilarating tour from Las Vegas. With a professional adventure guide, pilot your buggy through the rugged Nevada desert. Visit Rattle Snake Cliffs and Look Out Dune for spectacular views of the entire Las Vegas Strip and Lake Mead in the distance. Full-body safety gear and round-trip transportation from Las Vegas hotels are included. Dune buggies drive like cars, but the ride is much wilder! Experience intense adventure in the Nevada desert. Tour was great. Bumpy, but fun! Family of 4 was able to keep up with instructor. Nothing complicated, just fun. I would have liked a little more dunes driving. The road to the dunes was exhilarating. We had a great time, Buck was an awesome tour guide and he worked very hard to keep the buggy's running/moving. We would highly recommend and will do this again when we return to Las Vegas. This was the best thing we did in Vegas!! The best thing ever, we loved every minute of this trip. We got picked up and was taken to get our safety equipment. All the staff was fab! Everyone from the young lady driving us from the hotel, to the people at the reception to the guys at the buggy's themselves and our tour guide was FAB. Me and my partner got stuck a couple of times on the hills and he was so quick to realise and was there instantly! Big thanks to him and the team making this experience amazing! 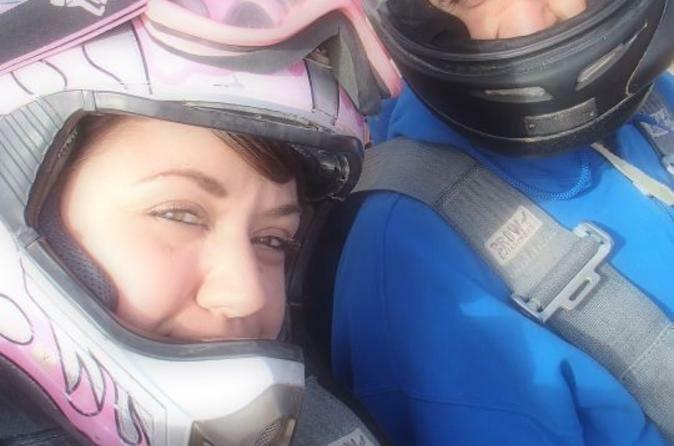 Excellent fun - so exhilarating - true adrenaline rush! Guides all so friendly - driver was even early to pick us up on the day! Handing out free bottled water the whole trip and even gave you a free digital photo of your group. I would love to go again! Highly recommending anyone to try this! This was the second time my brothers and I took this tour and it was even better than the first! We had a great time and our guide was great. Knowing we had done it before, he ask that "since this is a chase" would you like me to just let 'er rip? We of course agreed! Aside from a mechanical problem on one buggy near the end of the run (he, they're dune buggies and get abuse) we had an amazing run and will do it again next year. Gotta admit, though, the body does take a beating!!! Worth every penny!!!!! Had a blast! Would recommend to anyone!